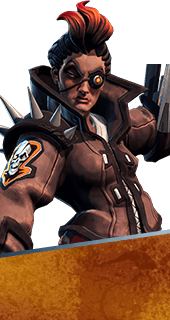 Laser Pistol and Plasma Pulse is an Ability of Reyna in Battleborn. When Plasma Pulse damages an enemy’s shield, a portion of that damage is restored to Reyna’s shield. Does not function while Reyna’s shield is down. +20% Shield Steal.